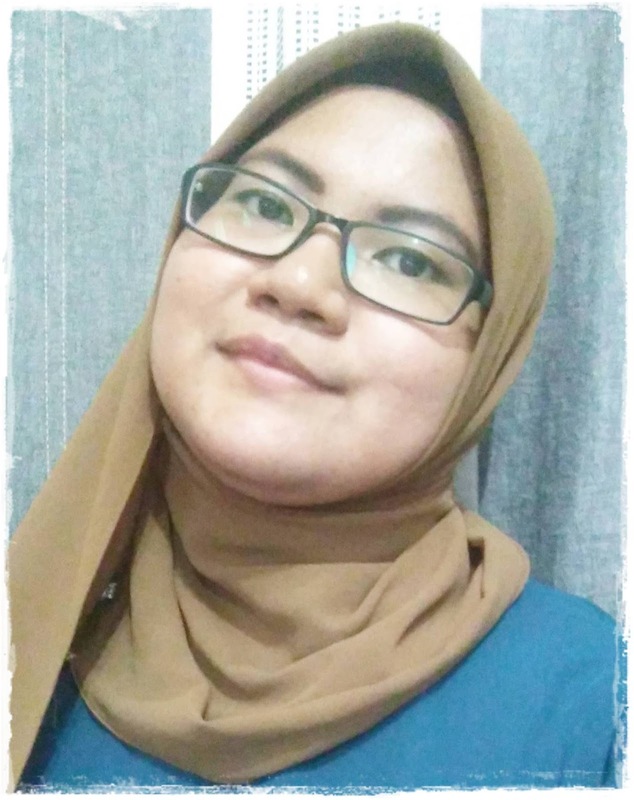 Well as mention before, this blog also will be having love-sickness-to-Jung Yong Hwa disease as well as her writer..hahaha...please..please don't ever stop reading haa...starting from today, I'll post just a single entry for each day that includes CNBLUE..okay with that..?? err...perhaps! 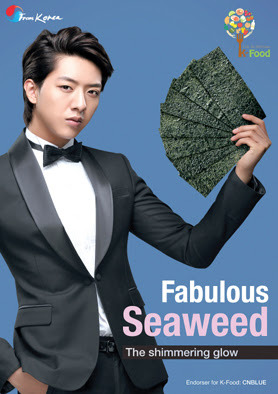 Advertisements of Korean agri-products with a popular boy band CNBLUE will be broadcast in foreign media. According to aT (Korea Agro-Fisheries & Food Trade Corp.), the Hallyu stars CNBLUE, who are among the most popular with Asian people, have been selected as an endorser of K-Food. 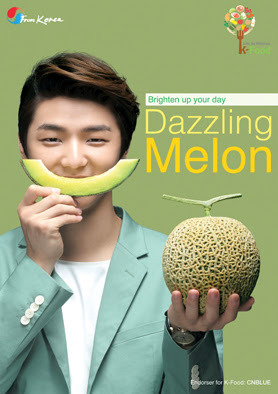 The boy band has filmed commercials for a variety of Korean agri-products. CNBLUE members include Jung Yong-hwa, Lee Jong-hyun, Kang Min-hyuk, and Lee Jung-sin. They took pictures for advertisement posters and shot TV commercials for 20 kinds of Korean foods that are actively exported to overseas markets. 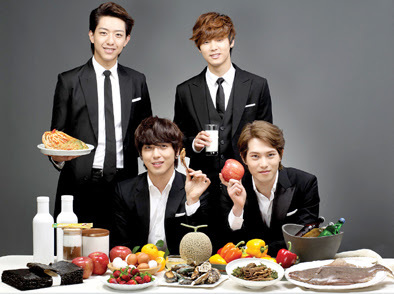 At the poster shooting, CNBLUE received praise for delivering well the unique characteristics and image of each of the advertised Korean foods - the freshness of the bell pepper, sweet-and-sour taste of the apple, the healthy image of kimchi, and so on. Jung Yong-hwa, the leader of CNBLUE, said, “When we heard that the Korean foods that we enjoy eating are actively exported abroad, our hearts were filled with pride. We will make every effort to promote Korean foods of high quality to our foreign fans.”Commercials for K-Food with CNBLUE will appear on public TV channels in China, Hong Kong, Vietnam, and other Asian countries as early as this August. What’s more, the commercials are going to show on the channels of world-famous broadcasting companies, including CNN and the BBC, and on an internet site (YouTube). 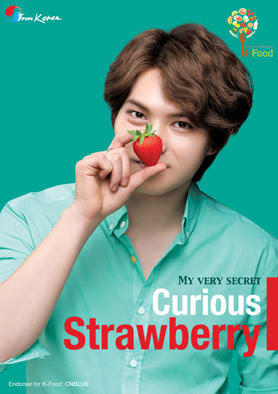 alaa.. strawberi tu cover muka jong hyun laa.. huhu..